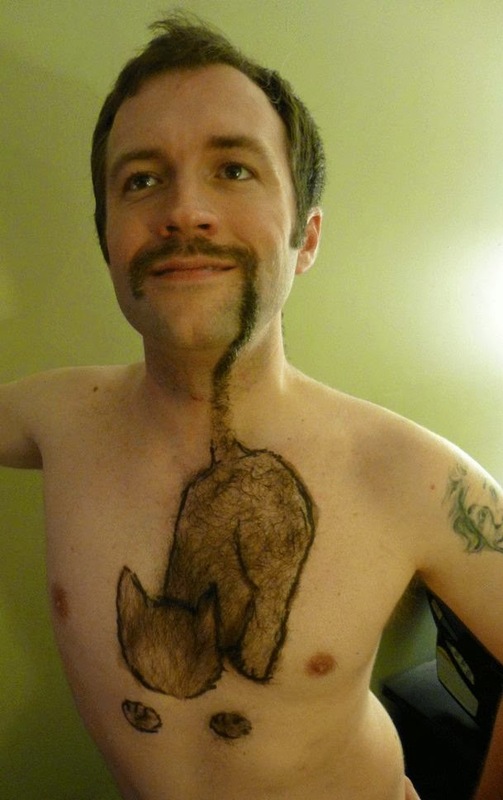 AND THE MOVEMBER WINNER IS… THIS GUY. The month of Movember may be over, gentlemen, but it’s traumatic photo legacy lives on. At least for this dude, who took the charity project really, really seriously. Who the hell is he, you ask? Beats me, but according to his Mo Space page, he’s Jonathan Burnside, who for some crazy reason only yielded $333 of donations for growing a cat portrait in his facial and chest hair. I’m not sure what’s going on with the floating paws in this photo, but I am sure that any man who shaves a p***y into his belly probably doesn’t get any in real life. This entry was posted in DAPPER WINGMAN and tagged And The Movember Winner Is...This Guy, Dapper Wingman, dating advice for men, funny facial hair, Jonathan Burnside, Miss Wingman, Movember, relationship advice for guys, wingwoman, worst facial hair by renata. Bookmark the permalink.